This topic contains 7 replies, has 7 voices, and was last updated by Rob Daniel 4 years, 11 months ago. Here it is by special request, drilling a bolt. You will probably have to get longer bolts to allow room for the cottor pin hole. Make sure you use the proper hardness and type of bolt for your application. 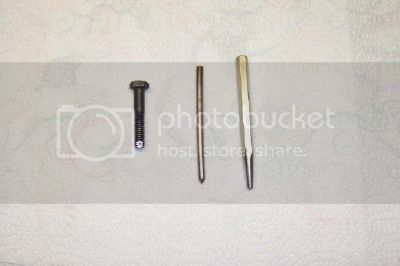 The bolts at hardware or auto parts stores are not recommended. 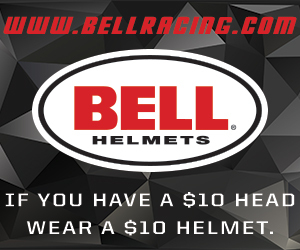 You need to order from a kart shop, Mcmaster Carr, Fastenel or industrial supplier type places. 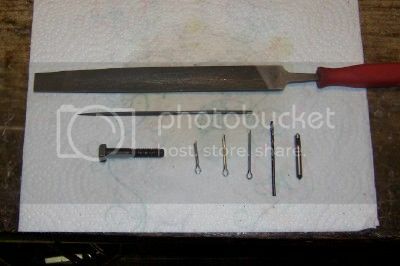 Some tools, fine cut flat file, triangle file, #40 drill, deburring tool (could just be a larger drill), 3/32″ cotter pins, grade eight 5/16-18 hex head cap screw. Some bolts have an indentation in the end so you want to file that down flat and you may want to re-chamfer the end depending on how much you take off. 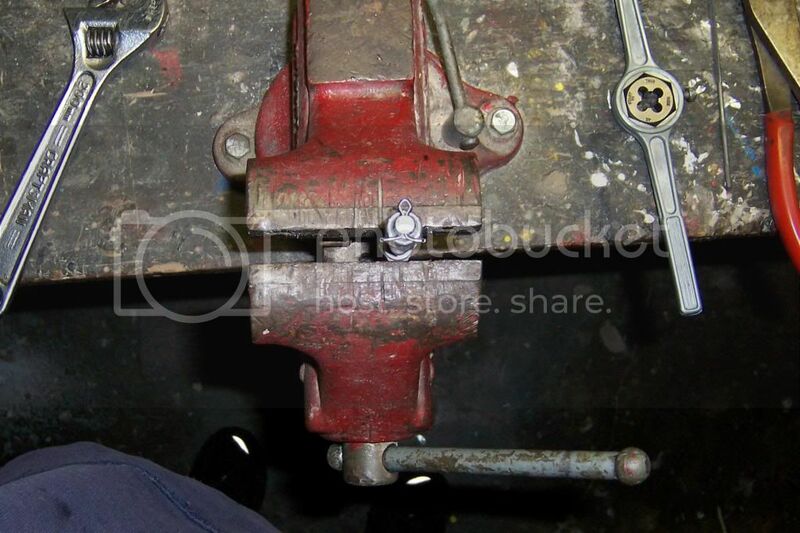 Position the bolt as shown clamping lightly. Aluminum jaws or cardboard from a cheerios box will help protect the threads. File three full threads flat. 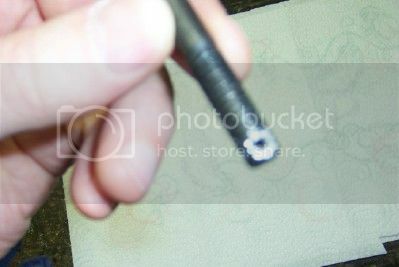 Of the three, center punch the middle thread, you don’t want to drill too close to the end. 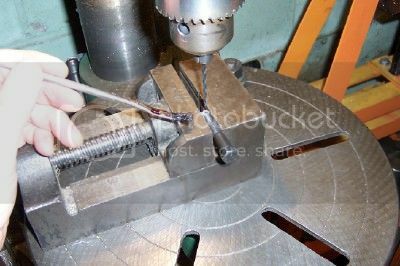 The prick punch has a sharp point to locate precisely and the center punch opens the dimple for the drill. 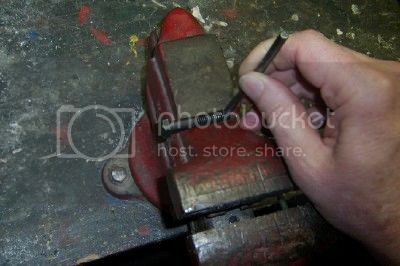 Do not center punch in the jaws, the bolt will slip and gouge the threads. 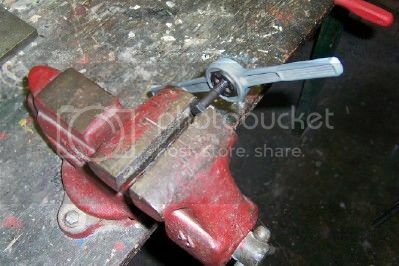 Use a V block or in this case my vise has a nook to cradle the threads. You can use a drill press or hand drill but the drill will walk to one side. When this happens you need to angle the drill back towards the center before the hole gets too deep. 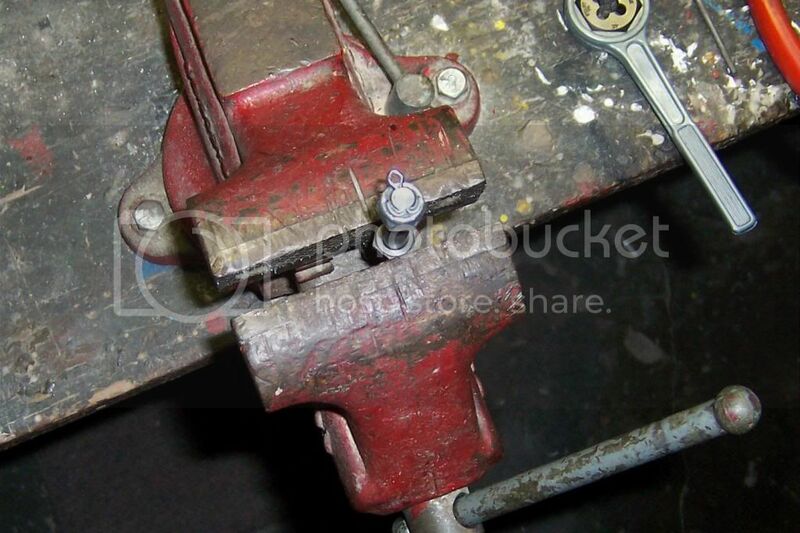 If it’s in a drill press vise as shown you’ll need to stop and re-position the bolt in the vise to keep it on center. They make special stubby “center drills” that don’t walk if you want to go the extra mile. In alloy steel that’s been roll formed you want to use oil and run the drill slowly with a firm pressure do not spin the drill fast. Have patients and when you feel the drill breaking through use light pressure and let it break through slowly. Probably not needed but after the drill I use a deburring bit to camfer the hole. 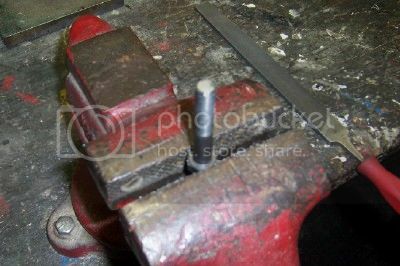 After drilling put the bolt back in the vise clamping lightly again and file another flat where the drill came out and deburr. You can run a threading die over the bolt but it’s not as good as filing. It’s pretty easy to file the threads with a small triangular file and you can round the thread where the flats are so they don’t cut your nyloc. After you’ve gotten all the sharp edges off it’s time for the nyloc and cotter pin. Put the cottor pin in, spread it out and trim it short with wire cutters. When you bend it all the way it should lay against the bolt and not overlap anything. After bending you can even file any sharp edges on the cottor if you can feel any. Thanks Walt. I’ve used these from Comet Kart Sales as well. The drill blocks are great but you can buy an awful lot of drill bits for $26…. I’ve done both methods more times than I can count, they both work fine but you’ll break just as many bits either way if you don’t drill straight and keep them lubricated. This would make a great sticky too, I can’t count how many times I’ve seen folks get turned away from the track because things aren’t secured properly. Good work Gif!!!! Why not just take a nut the same size as the bolt you want to drill and drill a hole through that. Now you have your drill jig. 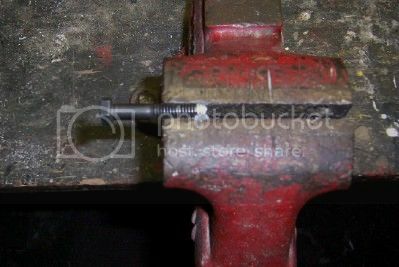 Put the nut in the wise, screw the bolt in to the where you want to drill the hole and go for it, it’s really that easy. I made one of these and use 1/16″ cobalt drills in a small drill press. You could hand drill in a vise also but since I have the drill press that’s what I use. Not sure if I’m lucky or good but I’ve drilled a ton of bolts, both stainless and high tensile, and haven’t broken a drill yet. I can drill a bolt in literally 30-45 seconds and unscrewing the bolt from the jig deburs the threads. I have a drawing I can share if anyone is interested. When drilling use higher rpm as the drill bit gets smaller. This is a basic surface feet per minute concept used in all machining operations. Do an internet search for drilling speed chart. I didn’t mention drill blocks because I don’t see the need but then I use to drill holes for a living. You should still file 2 flats and debur if you want the nylon to stay in the nut so I just drill on the flat. There are many ways to do the same thing.